The most recent addition to the Villa Group collection of resorts, Villa del Palmar Cancun, is a shining example of the future of the timeshare industry. As owners are looking for more variety, quality and luxury, The Villa Group has responded in a way that can only mean success; and with over 25 years of experience, it is not surprising that their nose for a great destination took them to Cancun. Famed for its breathtaking Caribbean beaches and turquoise sea, peppered with palm trees and coconuts, Cancun epitomizes what is most wonderful about the Caribbean. It has the added benefit of being on mainland Mexico, which means that visitors have access to the rich cultural traditions of modern Mexico as well as the pre-Hispanic wonders of the Mayan culture. Cancun is more than a resort destination, it has cultural heritage that is perfect for timeshare owners who return regularly as there is always something new to see and experience. In fact, the whole Yucatan peninsula is dotted with Mayan ruins and sacred pre-Hispanic sites that are open to visitors. The mystical pyramids at Chichen Itza is a short day trip from Cancun and Tulum to the east boasts Mayan temples on the beach. There are also countless activities available on land and sea, such as horseback riding, golf, ATV tours, biking, kayaking, paddle boarding and para-sailing to name but a few options. The area is particularly ideal for diving and snorkeling, or even whale shark tours. After dark, Cancun comes alive with a colorful nightlife that has something for everyone, young or old. You can dance till dawn in a nightclub or see the end of a day in a gourmet restaurant, Cancun has as little or as much of what you fancy. Villa del Palmar Cancun is also blessed with a great location that is in an exclusive quiet area away from the noise and traffic of the hotel zone. The beach is impeccably clean and there is an award winning golf course minutes from the resort, which offers discounts for Villa del Palmar guests. The resort has both Room Only and All Inclusive plans and even provides the option for timeshare guests to buy passes, if they so wish. There is also a full stocked deli for supplies to cook in the large kitchens in the suites and a shuttle bus that takes guests to a shopping mall. The resort has 5 swimming pools including both an adult only pool and children’s pool with splash pad. The beach is accessible directly from the resort itself and waiters serve food and drinks while you lap up the sun at the edge of the Caribbean. There is also a world class spa that performs a range of massages, wraps and treatments. Villa del Palmar is poised to ensure you are relaxed and pampered. Villa del Palmar Cancun also boasts a great selection of restaurants. There are four main gourmet venues serving Mediterranean, Mexican and Japanese dishes in addition to a steakhouse that blends European flavors with American expectations. For timeshare owners, this selection is a treat, especially as they offer a takeaway service so you can dine in the luxury of your own property. The Villa Group timeshare is celebrated for its large units that come fully equipped with kitchens and dining areas. Even the entry level rooms have a kitchenette and fridge. The one and two bedroom suites are big enough to live in while the specialty suites are fit to die for. All the suites are decorated with style and chic design in mind, boasting sea views and large balconies in all of the units above the first floor. The tropical garden views on the ground floor are also equally as stunning. Villa del Palmar Timeshare from Peter Reeves on Vimeo. 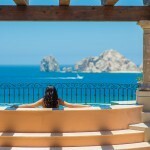 Share the post "Timeshare: Villa del Palmar Cancun"
When the economy is tough, timeshare scams increase. During difficult times, unhappy timeshare owners are stuck with a vacation ownership they can’t afford anymore. In the desperation to get rid of their timeshares, they turn out to be easy targets for fraudulent timeshare-related companies, and many of them become victims of a timeshare rip off.